Enzo Eusebi took part in the conference at the Made Expo in Milano on the theme "Contemporary Architecture and Traditional Ceramic”. 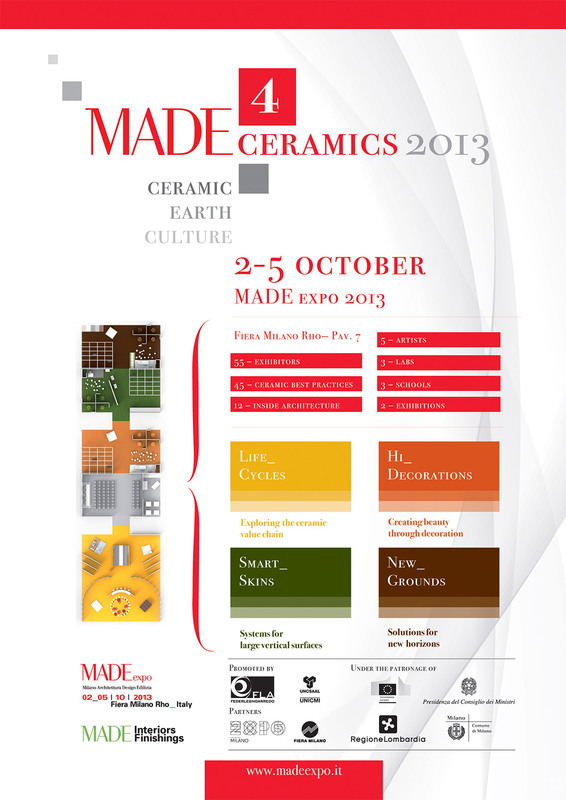 The proposed exhibition Made 4 Ceramics - Pottery Culture Earth - is based on the certainty that the future of construction in Europe and the world is certainly no longer tied to the sale and consumption per se, but are looking for products that have a strong focus on production chain and know how to propose with constant innovation. Companies and designers must put in place products, applications and services, able to communicate intensively with the different building cultures, training, communication on the planet. Through two historical exhibitions, 45 best practices, 12 specific proposals of international architects, 5 installations by artists, three major training centers, three experiential workshops, and with 4 days of intense debate and public lectures, Made4Ceramics - Ceramic Terra Culture - want to educate and bring the vision of the audience the world that we are going to build through visual suggestions that immediately identify problems and possible strategic scenarios to envisage for the next decade.